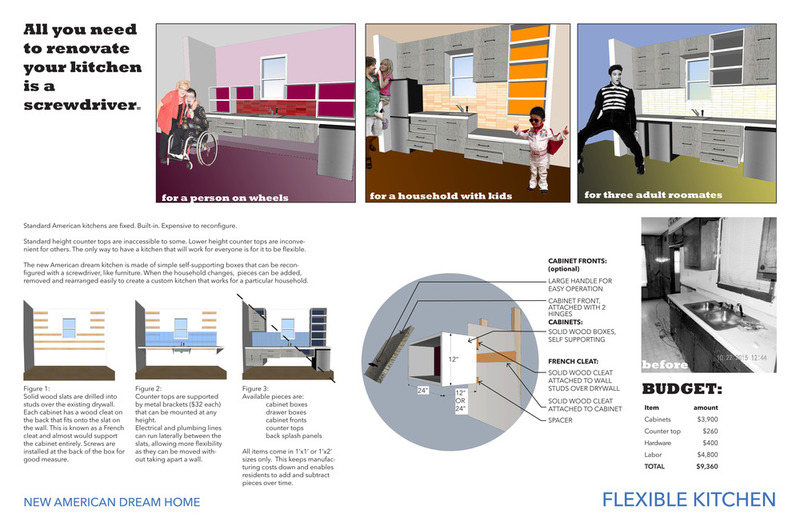 The Home Matters competition requested teams to come up with innovative design solutions for a $75,000 remodel to single family home in Memphis that wanted to incorporate a universal design approach to the home. Our team included myself and an architect, who specializes in senior housing design. Using small, cheap design interventions we added ramps to the house, changed all the windows in the bedrooms to doors, designed a new modular kitchen cabinetry line, and utilized water from the house in the landscape. We also proposed a community garden in front to activate the neighborhood.